The Global market for bone growth stimulators has been experiencing a positive transformation for the course of years. Bone growth stimulator is a therapy of supplemental form which works on the potential generated by bones to boost the natural healing process of the body. This is believed to be used as an alternative to bone surgeries to avoid complications and patient’s non-compliance. The rise in number of delay or complete failure in the healing of the fractured bones has tend to show the call for bone growth stimulator across the world. These stimulators not only increases the speed of healing but also avoids noncompliance techniques like giving vibrations or electric shock to patients. The major factor which are helping the market to grow high is rise of patients who prefer minimal invasive or noninvasive medical surgeries. The increase in number of population who are obese and diabetic are relying mostly on the bone growth stimulators for bone related trouble. The elderly population who tends to have to low bone density are more vulnerable to bone associated injuries. The slow natural healing process accompanied with techniques which are invasive makes them nod for the bone growth stimulation therapy. Moreover, the people aged 60 has grown significantly over the years in all over the region thus putting a press on the manufacturers to suffice the demand. The ever increasing public awareness about health in recent years is elevating the market like never before. One of the important factor that is favoring the growth of the market is the cost of the bone growth stimulation therapy. The cost is said to be bang for the buck in comparison to other invasive therapies. The market could offer product such as implantable and external devices. Bone growth stimulator can find its application into spinal fusion surgeries, dental surgeries, and union and delayed nonunion fractures. Hospitals, homecare settings, and specialty clinics can use the therapy. The market is found in region of North America, Asia-pacific, Europe and Latin America and Middle East and Africa. The global market for bone growth stimulators has been undergoing a phase of positive transformation. The increasing incidence of failure or delay in the healing of fractures has fueled the demand for bone growth stimulators across the world as they stimulate the bone-healing process without giving electric shocks or vibrations to patients. Bone growth stimulators are primarily available in two types: Internal and external. Internal or invasive stimulators are inserted at the point of bone fusion where they deliver light electrical currents and is removed after 6–12 months from the body. External or non-invasive stimulators are worn externally and do not require surgical implantation. Bone growth stimulators find a widespread application in the cases of trauma injury and fractures. Hospitals have emerged as the key end users of these stimulators and are expected to remain so in the years to come. Orthopedic clinics and home care facilities are also projected to report an increasing demand for bone growth stimulators over the next few years. The demand for non-invasive stimulators, such as combined magnetic field devices, capacitive coupling tools, and pulsed ultrasound magnetic field devices, is much higher than invasive stimulators. Analyst project the trend to continue over the forthcoming years. 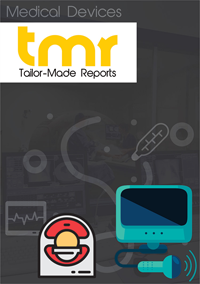 The global bone growth stimulator market is poised to gain substantially from the increasing awareness about the captivating product features among people. The widening application range of bone growth stimulators in the sports medicine industry is also projected to boost this market significantly in the years to come. On the other hand, the easy availability of alternative therapies and increasing competition from bone grafts may hinder the growth of this market in the near future. Nonetheless, the improvement in the service sector, growth in healthcare expenditure, and the rise in personal income will drive the market’s growth globally over the forthcoming years. The global market for bone growth stimulators reports its reach across North America, Asia Pacific, Europe, the Middle East and Africa, and Latin America. With the increasing awareness among consumers regarding the efficiency of bone growth stimulators in treating chronic pain caused by bone fracture and injury, North America has surfaced as the leading regional market for bone growth stimulators across the world. Researchers anticipate this regional market to retain its position over the next few years, thanks to the availability of favorable reimbursement policies on medical expenses. Europe is another prominent regional market for bone growth stimulators. The presence of public health systems and subsidies is likely to boost this European market in the near future. The Middle East and Africa market for bone growth stimulators is also anticipated to witness significant rise in the years to come due to the large base of population and the increase in the disposable income of people. Verve Consulting Inc., DJO LLC, Zimmer Biomet Holdings Inc., Orthofix International N.V., Elizur, Ossatec Benelux BV, Bioventus LLC., and IGEA S.p.A. are some of the key vendors of bone growth stimulators across the world. These players are focusing aggressively on expanding their presence, regionally as well as worldwide through mergers and acquisitions and strategic partnerships.